Former St. Francis College (SFC) women’s basketball star, Alex Delaney (class of ’18) has joined the Sydney Uni Flames, part of the Women’s National Basketball League (WNBL), for the current basketball season. Alex’s mother, Gail Henderson, played for the Uni Flames nearly 20 years ago. This would be the first time in Uni Flames history that both a mother and daughter have played for the club. Delaney graduated from SFC back in June after playing four years of women’s basketball at the school. Alex started off her career at SFC in 2014, being a part of the 2014-15 Northeast Conference (NEC) women’s basketball championship team. Alex averaged 3.8 points per game as a freshman while playing 16.6 minutes per game. She also hit the game-winning shot against Stony Brook in their first home game of that season. Delaney appeared in 19 games (14 starts) in her sophomore year averaging 8.3 point points, 3.2 rebounds, and 2.5 assists per game while shooting 30.4% from behind the arc. In her Junior year, Alex started in all 30 games finishing as the second leading scorer on the team (10.4 points), third-leading rebounder (5.3 rebounds), and led the team in assists with 3.2 assists. She finished third in assists (3.6) in conference matchups. Towards the end of her Junior year, she became the 12th player in women’s basketball history at SFC to record at least 100 career three-pointers. Being the only senior in her senior season, Delaney took over the leadership position as she helped bring the Terriers to third place in the final NEC standings. She finished the season as the second leading scorer (11.4), tied for leading in rebounds (4.9), and was second in assists (2.4). Delaney scored her career high (30 points) in a game against Mount Saint Mary’s on January 13th, 2018. Alex ended her senior season in the Top-20 in points, rebounds, and assists within the NEC. She also finished off her senior campaign with the fourth most three-pointers made in Terrier history (168). With all the success she had on the court, Alex was also named to the NEC Winter Academic Honor Roll in all of her four years at SFC and was an All-NEC Third Team honoree in her senior season. 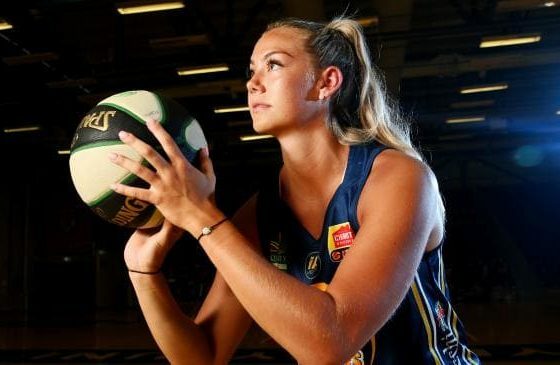 Alex played her first game with the Sydney Uni Flames on December 1st, 2018 against the Bendigo Spirit. She made 3 points with only 3 minutes played in the game. With her first game set aside, Alex will continue her mother’s legacy as her next game will take place on Wednesday, December 5th against the Adelaide Lightning.